This is great new four night Tour staying at the pretty Oude Abdij Hotel in Lo, West Flanders, at a beautiful time of year. It will explore the beers and hops of West Flanders at the end of the hop picking season, but will also include a unique chance to find out what was going on with beer 100 years ago in this area. More particularly, what British soldiers were drinking in Flanders which caused so many courts martials for drunkenness to take place, making it one of the top ‘crimes’ in the British Army. Siobhan will give a couple of evening lectures revealing new information coming to light in her researches into alcohol and the British army in the Great War from findings at The National Archives in Kew. 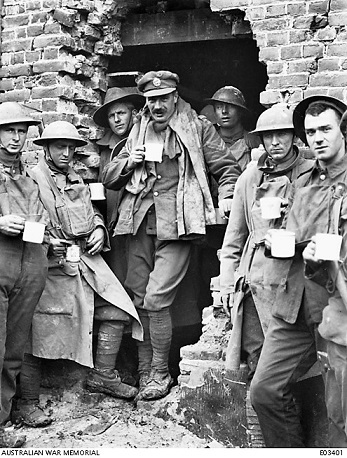 British and Australian Soldiers enjoying a coffee. But was it always just coffee? (Image AWM). Our first stop will be at the new Bar Bernard Brewery Cafe restaurant and Tasting room built on the top of St Bernardus Brewery in Watou. It has 360 degree views over the Flanders landscape. 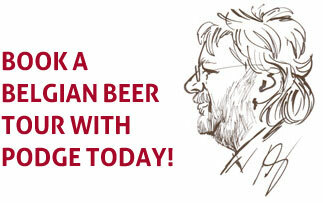 We'll have a group meal here and slake our thirst with a beer or two from this great Flemish brewery. There will be plenty of other visits to battlefield sites, Commonwealth War Graves Cemeteries - one especially containing men from a forgotten group of soldiers in the Great War - NCOs or Non-Commissioned officers. Siobhan has been doing work on courts martials and Sergeants and will focus some of the tour on her findings. 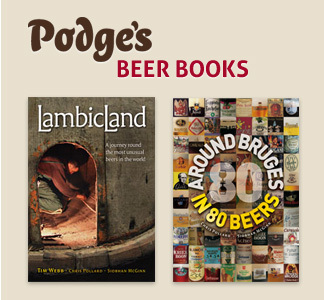 We will visit cafes and pubs or as they were known in the war estaminets some of which were actually serving soldiers behind the lines ion the Great War and we'll look at what happened to brewing in Flanders during the war and what soldiers actually drank when in the Salient. 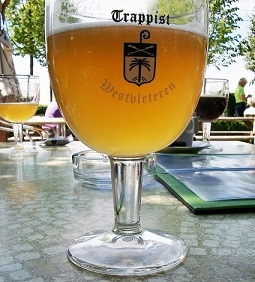 A Trappist beer at Sint Sixtus Monastery Brewery, Westvleteren. Australian Sergeants Mess Christmas Dinner, Siobhan's research reveals strains on Sergeants as the war progressed (Image AWM). 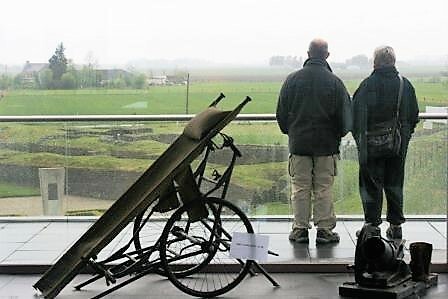 No battlefield tours are quite like these. 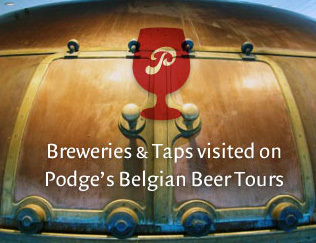 Tours for the curious, led by the passionate. Our crossings for this Tour are booked as the 0920hrs Eurotunnel from Folksestone to Calais outbound and the 1950hrs Calais to Folkestone inbound on 1 October 2019. 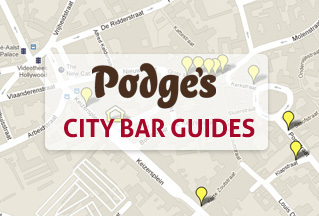 This Tour is still being built so keep an eye on this web page or our newsletters for updates. If you want to join Siobhan on this Tour please send her an email or call on +44 (0)1245 354677 for details. Travellers on Podge's Beer & Battlefields Tour contemplating the Dodengang - the Trenches of Death.